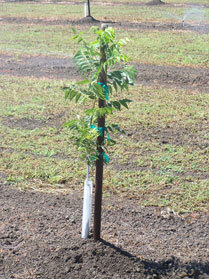 Linwood Nursery is dedicated to providing growers with the finest quality pecan nursery stock. We strive to operate our business with honesty and integrity. We will continue to refine our growing practices, expand our capabilities, increase our efficiency, provide individualized information to our customers, and elevate the superior level of our customer service we now provide to heighten the standard of excellence we have set in the pecan industry.